Last year, at around this time, I engaged in a little open reflection exercise (link to post here). Following on in the same vein, I am looking back again to see what I feel have been positive achievements and weaker aspects from the academic year. I also hope to set out some aims and points to look at in the coming academic year. In a nutshell, this year has not seen much in the way of changes in terms in my practice. Personally it has been a turbulent year with many things having been ‘postponed’. However, it seems that I have managed to put many things in place which could lead to the possibility of a very exciting 2017-18 academic year. The biggest of those is probably my registration onto a CELTA course. In last year’s review post I set this as one of my aims and despite the fact that I know it is going to be a very challenging experience, I am sure that it is going to be a real push forward in terms of my own knowledge and how I work. Continuing with the theme of personal development, we now have in place a ‘teacher’s club’ in the academy where I work. Our small group have met regularly during the third term to exchange ideas and material; watch teacher development webinars and discuss relevant topics and issues. Of the few of us involved, we have all agreed to continue this little project into the next academic year. This is proving to be a very supportive and productive exercise for me personally. I have found the enthusiastic exchange of material, methodology and ideas within the group especially useful and valuable. Therefore, I am particularly excited about the prospect of it continuing and developing. In terms of other training and learning opportunities during the year, I have attended teacher development days with the British Council’s Bilbao centre in September, London School’s TESOL conference in San Sebastian in April as well as presentations at the SpainWise Careers Fair and the MacMillan ELT’s Academy day in Bilbao during May. Additionally, I have attended numerous webinars from MacMillan ELT, Pearson ELT, Oxford University Press, Cambridge English Exams and more recently IATEFL. All of these sessions have provided a practical ideas and food for thought with three main points seeming to have worked their way into my practice this year: promoting intonation and word stress in speech; using rubrics to mark and assess writing and speaking performance; and the importance of ‘mining material’ for all the different exam papers in exam preparation: by ‘mining material’ I mean doing a reading activity and highlighting it as a great source of material for speaking and writing activities in terms of not only vocabulary but also key phrases, structural arrangement of a text, linking and writing style. An example of this is when I have highlighted how a phrase could be used from a reading activity we were doing to introduce a general topic in an essay writing task, or recycled in the first part of a speaking exam task. One area that has not received the attention I hoped it would during the year has been the Writing Revision Pack that I produced and have been annually updating for use with my Advanced students. This has been a continually developing project and my aim for the year was to again update it to include a number of model answers and some links to video classes for each of the writing types. So, this project carries forward to next year when I would also like update the parts that provide a summary of the structure for each section into ‘recipe’ cards for each of the writings. These are outlines that not only provide information on an essay’s or report’s structure but also offer key phrases and characteristics for each of the writings. These were inspired by a colleagues worksheets and by Tim Warre’s writing Part 2 phrase sheets blog post. While looking back more specifically on the outcomes from the year, an area that has had mixed success has been my experience around keeping students motivated with reviewing and learning their course vocabulary. With some courses, I have produced, and been using, some key phrase and vocabulary lists for each unit in the text books. These were combined with recurring and cumulative activities to keep recycling and drilling the lexis that they had been coming across during the course. These seem to have been quite successful, particularly with the advanced course book I have been using. 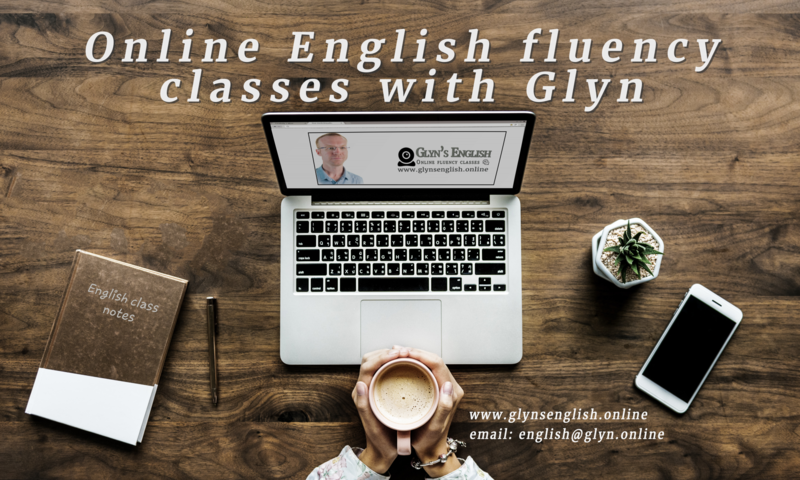 I have seen an increase in recognition of the more interesting language from the course as well as students producing the vocabulary in speaking and writing activities. However, I have had much less success this year with the course vocabulary in my First Exam preparation groups who have been struggling with learning and retaining the course’s phrasal Verbs and collocations sets in particular. Over recent years I have tried to introduce a more ‘fun’ approach with online word games and more flash card games in class. However, while students have learnt the phrasal verbs during reviews in-class, they have generally been much less successful in studying the vocabulary before classes and retaining what they have reviewed until the next class. This has been especially true during the second and third terms when our students were especially busy with school exams. I feel a much more ‘intensive’ and less relaxed approach is going to be needed with much more prompting and supervision between sessions. I am considering using the class studying feature and it’s leaderboards on Quizlet. This might help to monitor student studying outside of class and still maintain a gaming aspect too. The leaderboard combined from the online studying set on Quizlet combined with using our class WhatsApp groups to send out more prompting will hopefully keep up the motivation and focus with their studying. I will also try to reintroduce a more formal ‘test like’ approach to some of the regular review activities. Finally, I am going to try updating the Phrasal verb section tests so that they review previous parts as well as the current section in the hope of further promoting students to not just look at current sections but also to review and revise the previous sections too. Continuing to look at ambitions for next academic year, I would like to try and attend one of the major ELT conferences; either the IATEFL conference which this year is in Brighton; or the TESOL-Spain conference in Barcelona. I would also like to arrange some observed practice and feedback to continue on from what I expect to experience in my forthcoming teaching course. This would hopefully keep pushing me and my skills forward after the CELTA Course. Finally this blog is another aspect that I hope to develop and link into my teaching. During the year I have been putting up Word Of The Month posters in my classroom. I hope to follow on with this routine and expand it onto this site with related posts that give examples for usage of the words and maybe some more context to them in the same way that I did with the June post. These posts along with other material will hopefully develop this blog from just a personal writing project into something that may be of use to my students, and provide relevant follow up and continuation of content beyond the classroom. Additionally, being fully into the WordPress system has given me a particularly interesting reading list of articles from a range of very interesting ESL authors and bloggers. I am currently continuing to read Tim Warre’s blog and also now subscribe to Scott Thornbury’s A-Z of ELT blog and Jeremy Harmer’s wordpress site. attending webinars and events and making contacts. to better enourage, supervise and review students in studying the First preparation courses vocabulary sets. Develop this blog site as a tool to continue classes and provide resources that may be useful to my students outside of the formal classroom environment. Next PostNext My CELTA experience – It was quite a ride!